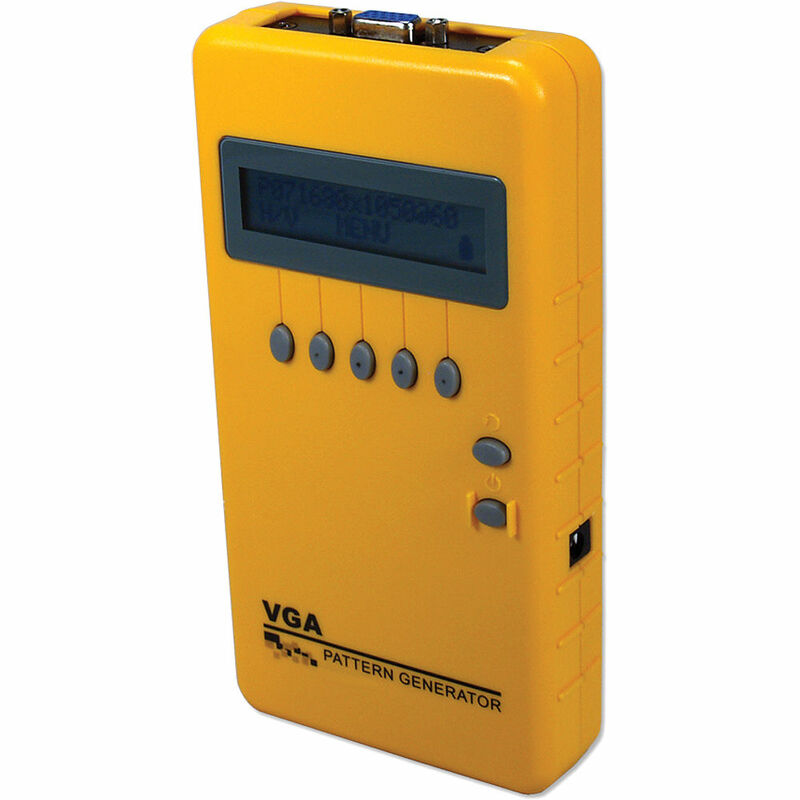 The VGA Portable Pattern Generator from QVS provides a portable way to test and evaluate VGA displays and easily troubleshoots any calibration issues. It has 38 different resolutions from VGA (640x350) to WUXGA (1920x1200), 34 video test patterns, and easy-to-use push-button menu control through the LCD screen. The Built-in rechargeable battery includes continuous usage up to 8 hours. A Universal power adapter and 47" VGA cable come included. Box Dimensions (LxWxH) 9.0 x 8.6 x 2.7"
VGA Video Pattern Generator is rated 4.0 out of 5 by 1. This product is made by QVS. Is this device ROHS compliant? The VGA Video Pattern Generator is ROHS compliant.